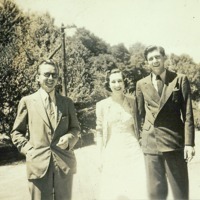 Ted Just, Mildred Cain, and Stan Cain at Cold Spring Harbor Laboratory. 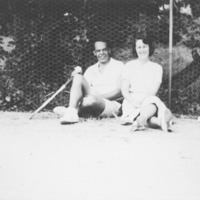 Curt P. Richter and Mrs. Richer at Cold Spring Harbor Laboratory. 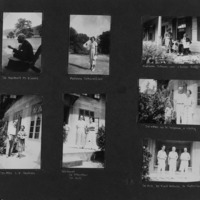 Bert Cunningham at Cold Spring Harbor Laboratory. 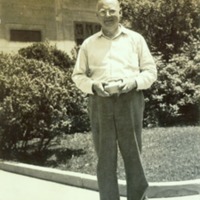 Harry L. Fevold at Cold Spring Harbor Laboratory. 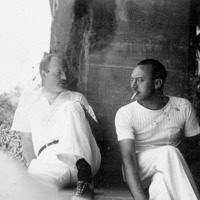 Hans Haterius and Walter Rex Ingram at Cold Spring Harbor Laboratory. 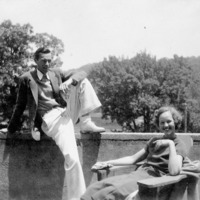 Ken Donahue and Esther Donahue at Cold Spring Harbor Laboratory. 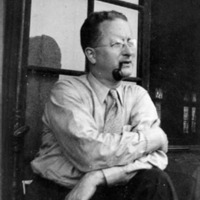 Dr. Samuel R.M. 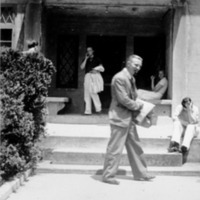 Reynolds at Cold Spring Harbor Laboratory. 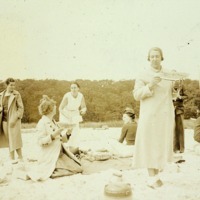 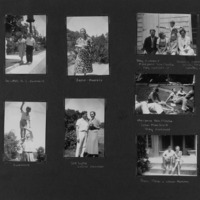 Jane Davenport Harris (holding watermelon) with Cold Spring Harbor Laboratory Symposium participants having a picnic at the beach.